This week has been a week of extremes. The mornings have been very foggy and damp, yet the afternoons have been gloriously sunny and warm. The kind of afternoons we could have used more of during August when we were struggling to get the combine going to harvest the cereal crops. 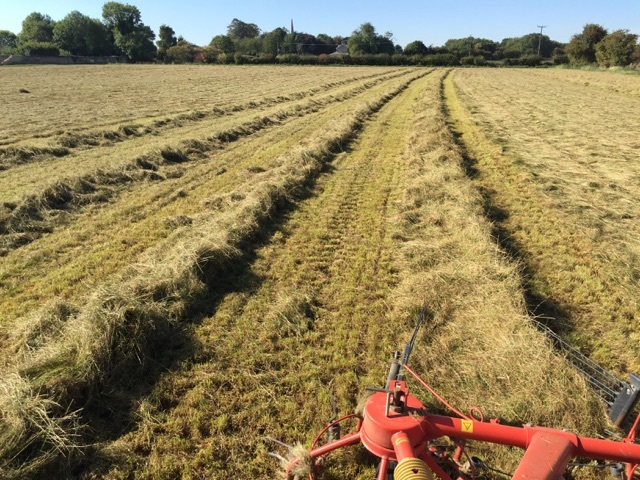 So it seems that we are having an ‘Indian Summer’ and along side the second cut of grass we are taking to make winter fodder for the cattle, we are busy drilling next year’s cereals and shifting our focus onto selling Christmas Trees. 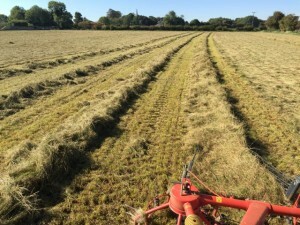 Making haylage for the cattle in winter. 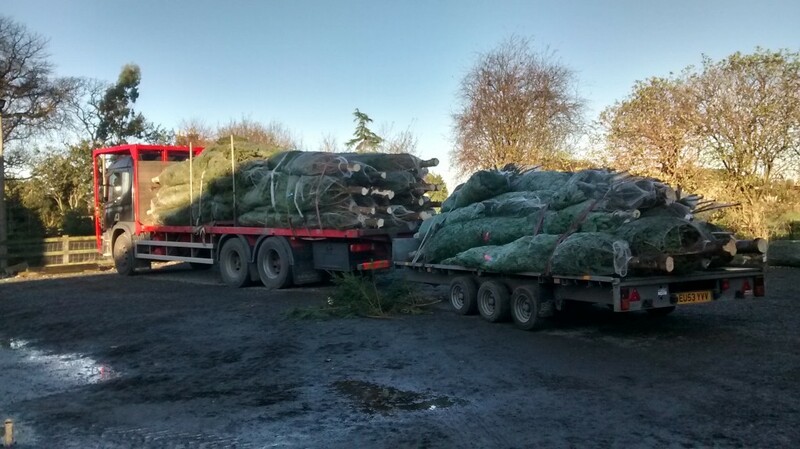 he coming festive season and large Christmas Trees are also selling fast as local councils and larger institutions start planning for Christmas, but they are not the only ones. This week we have cut Christmas trees for two customers for reasons that could not be further apart. The first trees, some large spruce at 12ft have gone to the BBC comedy show ‘Still Open All Hours’ which is filmed on location in Doncaster – not far from us. However we will also be cutting more trees for them to take down to London in the coming weeks for further filming for the Christmas Special. At the other end of the spectrum, we have cut a number of 5ft trees for a customer of our that uses them to build 3 day event courses for horse jumping. As I said, a week of extremes. 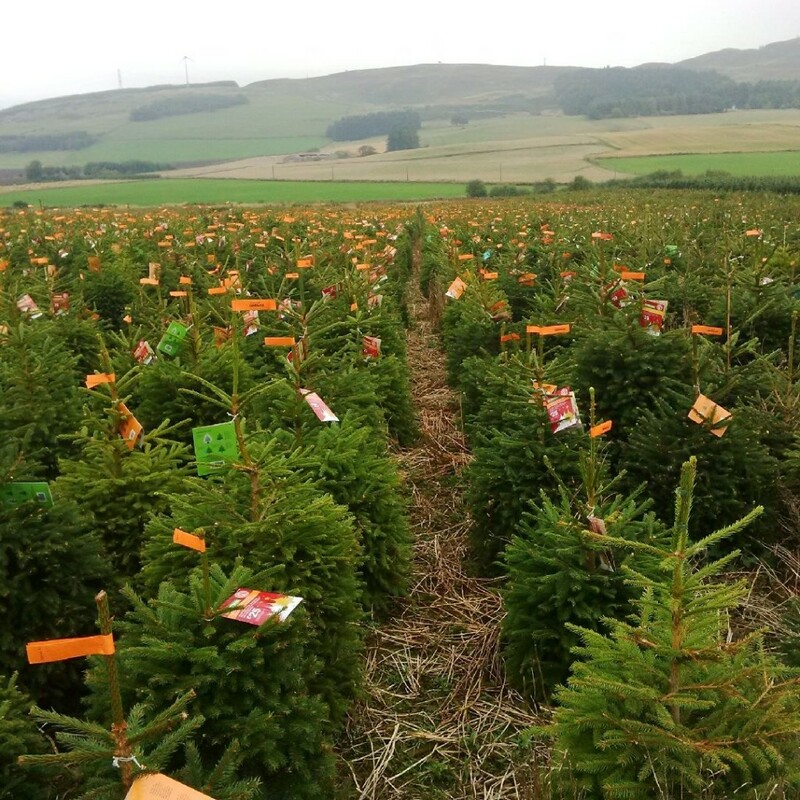 The British Christmas Tree Growers Association actively invites growers to come together on several occasions throughout the year to share knowledge and ideas regarding growing and marketing Christmas Trees. This directly benefits you, our customers, as in ensures we are using best practices and constantly looking to improve either the varieties we offer and the quality of the trees giving consideration to what the tree will ultimately cost the consumer. On Wednesday last week, the late summer open day was held at Tayside Forestry. It was a great day and a chance for growers to catch up. We looked at several plantations of trees, both Nordman and Fraser Firs. It was particularly interesting to see an entire plantation of thousands of Fraser Firs all at around 6ft in height. This plantation will have taken years to grow with considerable cost to the grower. A soil based disease which is impossible to predict, is doing its best to wipe out the entire plantation before the grower has chance to harvest them. As our customers, I think it is interesting to know what is involved in producing your beautiful trees, and you should be aware that things are not as easy as they may appear. It never ceases to maze me how many customers say “you only work 6 weeks of the year” – if only…….. 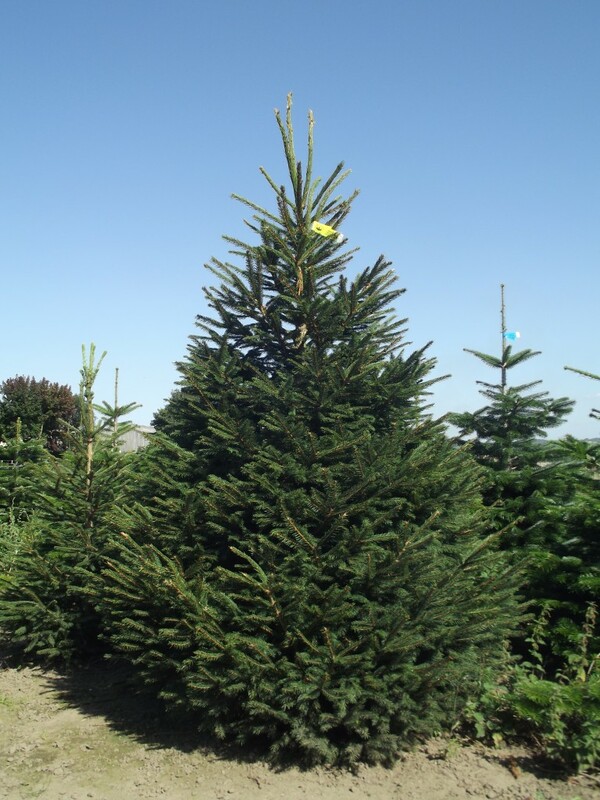 However, rest assured, there are lots of lovely trees for the coming season and we look forward to supplying you.